The Generics Pharmacy Now Delivers through City Delivery! In 2009, while spending a two-day vacation at my sister’s house in Laguna, a family emergency happened. My then 3-year-old son woke up crying in the middle of the night and started vomiting. He threw up several times in the course of an hour, and it worried me that he might suffer from dehydration. There was a bad storm that night that prevented us from leaving the house and getting the medicine my son badly needed, so we were all really worried. How I wish back then that medicines could be delivered straight to our doorstep to relieve my son’s discomfort. I was just glad that my son’s pediatrician was available through phone and gave us an alternative way to manage my son’s distressed condition. Now, moms out there wouldn’t have to suffer the same fate we did because The Generics Pharmacy now delivers via City Delivery! 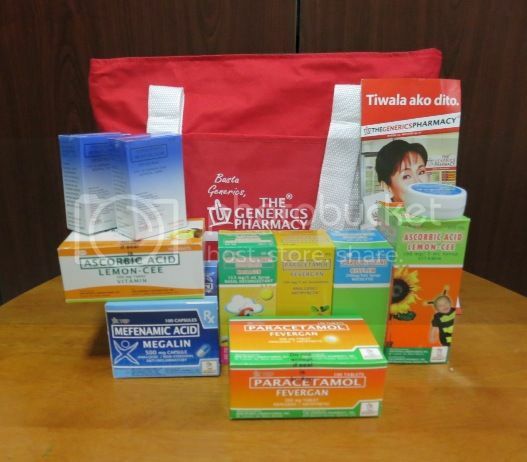 With over 1,230 outlets nationwide, The Generics Pharmacy is one of the most trusted drugstores that offer generic medicines, giving the customers value for their money. They are hailed as one of the 10 Top Businesses of the Decade by Entrepreneur Magazine. City Delivery, on the other hand, is the top premiere multi-delivery service provider in Metro Manila. The partnership between The Generics Pharmacy and City Delivery will surely make a positive impact on the lives of their customers because now, they won’t have to wait in long lines to buy the medicines they need. I have personally experienced City Delivery service last Friday when a bag of medicines from The Generics Pharmacy was sent to my home address. For over-the-counter medicines, you may place your order directly via City Delivery’s call center, text line or website. 1. Order via City Delivery’s call center, text line or website. 2. 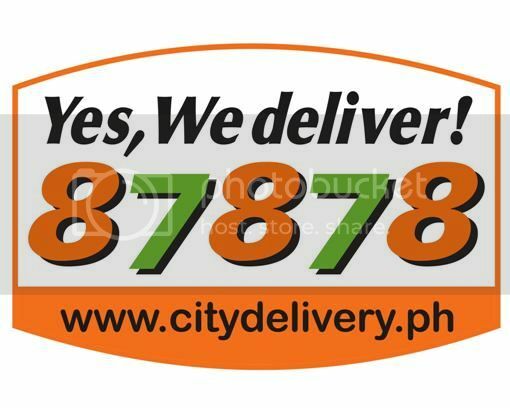 Email orders@citydelivery.ph or fax a copy of your doctor’s prescription. You may get their fax number from their customer service representatives (CSRs). 3. City Delivery’s CSRs will then process your orders. 4. Wait for your orders to be delivered to you. I’m sure all moms out there will worry no more when family emergencies happen because you can now have affordable medicines delivered to your homes when you need them. This entry was posted in City Delivery, The Generics Pharmacy. Bookmark the permalink. 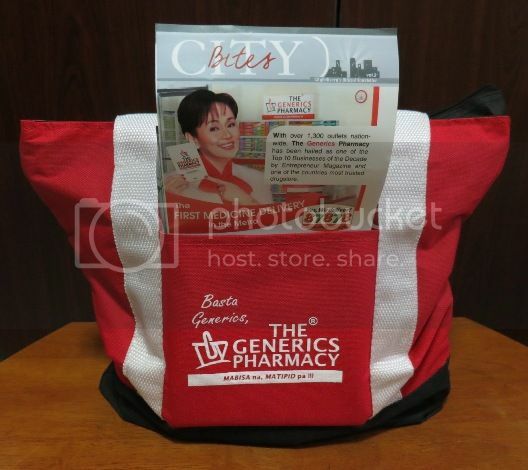 12 Responses to The Generics Pharmacy Now Delivers through City Delivery! yup, we’ve experienced related dilemma, too. waking up in the middle of the night and u rummaged through ur medicine cabinet and finding no medicine fit for the shown symptoms. good thing our small hospital is just 3 minutes away from from our place. and, yes, great to know generics pharmacy has this kind of home delivery. good to know that they have delivery services now 🙂 there’s a branch just near our house but i guess i have to spread this great news to my family and friends. would there be a minimum order fee? That’s good news for those who can’t personally go to drugstores to get their meds. Wow, they are catching up with the generation “y” 🙂 I love their meds – cheap yet effective! Glad that there are good ways of having meds delivered! This is great! I hope they introduce 24/7 na rin soon. I had a same experience din before, my son was about a month old lang when he started crying out of nowhere, in the middle of the night, and we couldn’t pacify him with milk or lullabies. Turns out it was kabag and we didn’t have an acete de manzanilla in stock. My husband had to rush to the nearest drugstore to buy. Thankfully there are drugstores here that are open 24/7. This is really a great initiative as having the medicines more accessible to the patient can do wonders in health emergencies for patients plus since they carry more of the generic brands, it can help patients save cost. This is really good news. I just hope the delivery service is quick and hopefully it’s 24 hours. Yes, the 24-hour thing might be a stretch, but for this kind of product, I think it’s just but needed. So City Delivery is rapidly expanding huh. I first encountered them because of ordered food….and now medicines could be delivered! Wow, this is good news. Frugal as I am, I usually go to Generics Pharmacy for medicines. That is good news! Medicines delivered at your doorstep! That is really something to rave about especially for busy moms like you. Wow! This is nice. Will check on this. We’ve already availed of this free delivery service by Generics Pharmacy and the franchise owner was the one who went to our house and even gave freebies because he was then promoting his new store near our place. We’ve yet to try this with City Delivery.